Most Chinese believe that cheese smells like a kitchen rag, but there definitely is a future for cheese in China. However, more and more Chinese people would like to try new things and to taste imported products, as is attested in many of the posts in this blog. This also includes cheese, especially in first-tier cities such as Shanghai, Beijing or Guangzhou. However, almost all cheese consumed by Chinese is processed, as this removes some of the most problematic properties (texture and odour). Reliable cheese-related statistics about China are notorious hard to get. According to a usually reliable Chinese soure, the country has produced 27,000 mt of cheese in 2016; 10,000 mt made from domestic raw milk and the remaining 17,000 mt being processed imported cheese. The OECD-FAO and USDA statistics are considerably higher, but I suspect that those figures include some yoghurt, which by some producers, in particular in the South, is named suanrulao ‘sour yoghurt’. Chinese Vice Agriculture Minister Yu Kangzhen stated on Dec. 13, 2017, speaking at an event to encourage cheese consumption in schools, that efforts should be made to develop dry dairy products like cheese to improve dairy product structure and boost the dairy industry. Chang Yi, chairman of Beijing Sanyuan Food (see below), said at the event that China’s cheese consumption could grow by more than tenfold in future, and that he expected the cheese industry to maintain annual growth of 20% in the next five years. While domestic production is growing, most cheese consumed in China is imported. China imported 108,300 mt of cheese in 2018, 2.8 times the volume of 2011. The old world is obviously lagging behind, which is again a result of the Chinese dislike of unprocessed cheese. Mozzarella is a major item in the list of imported cheese. Fonterra has recently opened a cheese plant in Australia to better supply the Chinese pizza market. According to a Fonterra spokesperson, already half of the Chinese pizzas are topped with mozzarella from Fonterra. 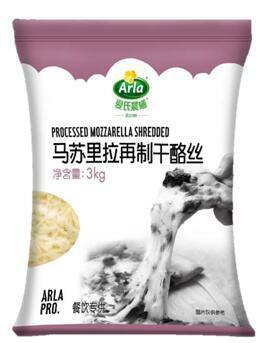 Mengniu and its partner Arla have launched mozzarella in 2018. China is lowering its cheese tariffs from 12% to 8%, effective from December 1, 2017. This will certainly boost the sales of imported cheese. The supermarket is the no.1 distribution channel, because it is absolutely necessary to maintain the cold chain for cheese. Many small grocers cannot provide this quality service. With the development of the Internet and new ways of consumption, it is now possible to buy your cheese online. Imports are still rising significantly. China has imported 16,446.9 mt of cheese during the first 4 months of 2017; up 41.25%. Demand for cheese is driven by two factors: Chinese consumers looking for high quality dairy products and safe products prefer major western brands. Lifestyles are moving towards European standards of consumption. The tastes of Chinese regarding cheese will develop gradually. Traditionally Chinese food is served with several dishes. And unlike us, Chinese don’t eat cold meal. 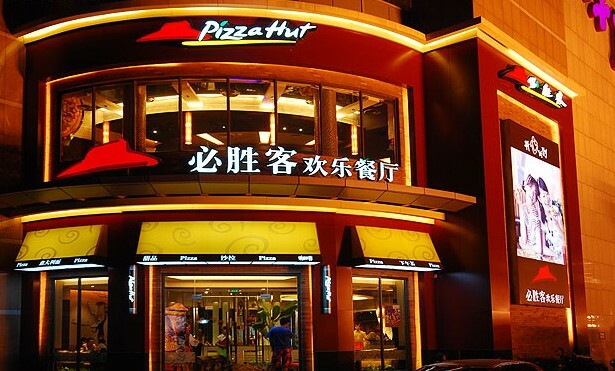 However, pizza has made extremely popular in China after the arrival of Pizza Hut in the Middle Kingdom. Its success has inspired many Chinese entrepreneurs to venture into Italian restaurants, and cheese is an inalienable ingredient of Italian cuisine. Half of these are indeed domestic companies, but most of them import bulk cheese and further process it into processed cheese in various shapes and flavours. The oldest domestic cheese producer is Sanyuan (Beijing). It imported a Danish cheese production line in 1985, mainly to service the foreign diplomatic community in the Chinese capital. 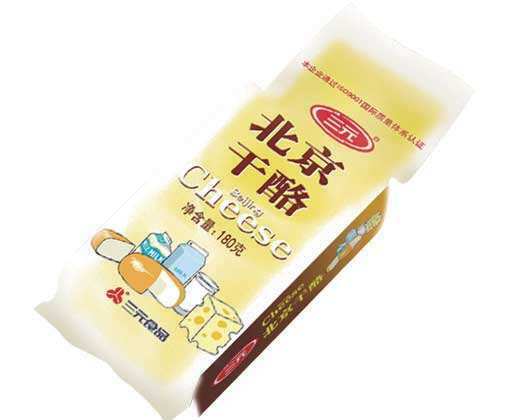 Sanyuan still produces this cheese under the Beijing Cheese (Beijing Ganlao) brand. It now has a capacity of 10,000 mt p.a. Strikingly, most domestic companies that actually produce cheese in China are small, often privately owned, enterprises. There is Qishi (Inner Mongolia), China’s first producer of Mozzarella, but the most interesting case is no doubt Le Fromager de Pekin, a company set up by a Chinese, Liu Yang, who learned making cheese in France. Liu spent 7 years in France studying the language, business administration and cheese making. Upon his return to China in 2007, he stumbled through careers in translation and IT sales before opening Le Fromager de Pekin, which sells about 5300 pounds of cheese a year. 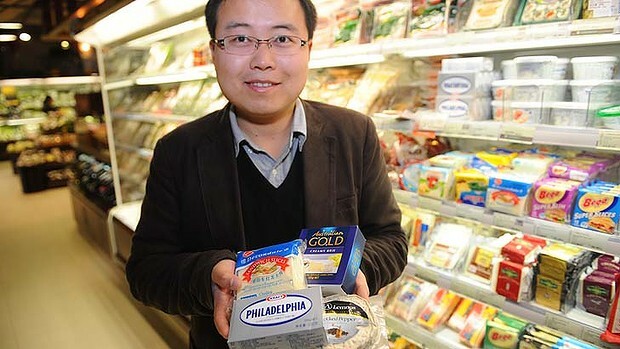 Although Liu’s mission is to promote cheese to fellow Chinese, almost all of his clients are expatriates living in Beijing. Still, he’s convinced that will change. Watch this video report about his activities. When Marc de Ruiter’s Yellow Valley business opened up in 2004, it was the first fair trade Gouda cheese producer in China. Known by almost half the expat population in Beijing. Here is a video impression from 2009. Yellow Valley is located near Taiyuan (Shanxi). It is a small production facility on the premises of a dairy farm. Here, Marc de Ruiter, a Dutch agriculturist, produces his original Gouda cheeses. He is supported by two full-time employees – one cheese maker and one who handles marketing and sales. Two part-time employees take care of the online sales activities via China’s e-commerce platforms. The small Gouda cheese making business grew more successful over the years and the Yellow Valley products were widely known in China’s largest cities. After China was hit by the melamine milk scandal, Yellow Valley had to close down, like many small dairy-processing businesses. After the close-down from 2011 to 2015, Marc found a way to restart. “Producing ‘farmhouse based cheese’ was the loophole I needed. It requires a lot less licences and permits. 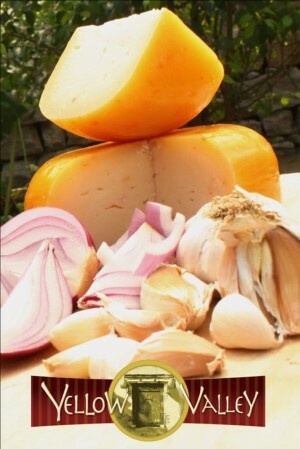 The cheese can only be sold directly and online – not in stores.” The Yellow Valley ‘new style’ offers a wide range of traditional and special products, like the original Cheese, the Aged, Herbs de Provence and Cumin varieties and even with local cheese favourites with onions and garlic. There is even a spicy variation red Currently, nearly 90% of its sales go through WeChat, Weidian and Taobao channels. After the reopening of Yellow Valley in mid-2015, Marc aims to increase production. The company is expanding its facilities to 65+ square metres of production space, a ripening chamber and an exhibition space. So the Chinese are surely developing a taste for cheese, but what would it take to bring this market to maturation? One problem is that cheese is hard to integrate in Chinese cuisine. You can try to design a recipe for cheese-filled dumplings, but this may make them taste more like an Italian dish than a Chinese snack. The same would happen, if you would sprinkle grated cheese over a bowl of Sichuan-style dandan noodles. It may actually be tasty, but I wonder if it would ever become a hit. One solution could be to do tests with adding molds like those used to produce furu (fermented bean curd) to cheese and develop an indigenous moldy cheese. Huangshan Tianfeng Foods Co. produces a version of the traditional Chinese rice cake niangao flavoured with cheese. Another problem is that the little natural cheese that is actually produced on Chinese soil is not linked to the local food tradition, the local terroir. When I first lived in China in the 1970s, we could buy cheese from Heilongjiang province (the home region of Mr Liu Yang), close to the Russian border. That was real natural cheese. However, production seems to have halted; pushed from the market by imported cheese and locally produced processed cheese. An idea for Mr Liu Yang would be to promote his Beijing-produced cheese as the ideal companion of Beijing’s famous baijiu (distilled liquor): Erguotou; a beautiful marriage between the old and new local tradition. Cheese has set a firm foot on Chinese soil and it certainly there to stay and to grow.